13x50 HD Rangefinder Spotting Scope Monocular with Reticle Waterproof HUTACT. 10X42 Compact Binoculars HD for Adults Hunting Bird Watching Army Green HUTACT. 8X42 Optics Compact Waterproof HD Binoculars for Hunting Bird Watching HUTACT. Ventilated yoke integrates a stowaway hydration net to accommodate your own hydration bladder. Arlington, TX, 76011. 803 Ave H East, Suite 311. Crooked Horn Camo Binocular/Rangefinder Harness System / Camo Holster - RF-201. Condition is New. Shipped with USPS First Class Package. ThePro Staff strap fromNikon distributes a binocular"s weight across your back and shoulders, as well as keeping them close to your body to prevent swinging around. 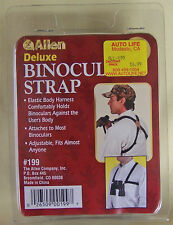 The Deluxe Binocular Strap from Allen distributes the weight of the binoculars over a larger surface area to ease the load and holds the binoculars more efficiently. The heavy-duty harness comfortably holds binoculars against the user’s body and attaches to most binoculars with quick ties. The most comfortable way to carry your binoculars for hours. Spreads the weight of your binoculars across your shoulders for more relaxed viewing. Keep your binoculars close to your chest and out of the way. Binoculars with this Bushnell deluxe harness. 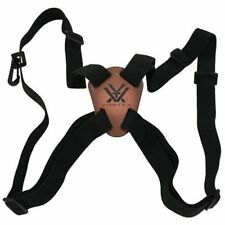 This deluxe version of the Bushnell harness has a wide, perforated panel for. About Bushnell. Bushnell has been the industry leader in high-performance sports optics for. Field Optics BinoPOD Harness Kit (Black). Integrates with BinoPod Accessories. Field Optics Research BinoPod Harness System (Black). Give us a shot and we will make sure that you will look to us again! Item model number: ULH/BLACK. You're already purchasing the item. Quality Products. Product Overview. Endeavor Binocular Harness. Condition is New. Shipped with USPS First Class Package. NEW FLOTATION STRAP ,ORANGE COLOR,WILL FIT. ANY BINOCULAR LIKE NIKON SWAROVSKI STEINER AND MANY OTHERS. For sale is a IPI Bino Manager Body Hugging Harness System for Binoculars with a Sportsman Warehouse outfitter bag in front to protect binoculars. 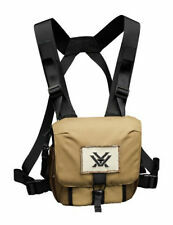 Barska Binocular Harness Specifications: - Fits: Most Binoculars - Color: Black. Binocular Harness, Black. Vehicle Binocular. Storage / Carrier / Harness. Complete in the original box. Never used or installed. All original including the paper insturction sheet. Designed to mount your binoculars in your vehicle or boat for secure and easy access. Ideal for bowhunters, as the harness system eliminates any interference with bow strings. Reduce neck fatigue with specially designed harness system. This lightweightFujifilm Binocular Harness Strap takes the weight of your binoculars off your neck and distributes it evenly across your shoulders. 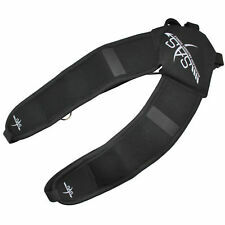 Enables gear to glide up and down strap during use. TheBino/Cam Harness self-adjusts to comfortably balance gear while in use or in the idle position against the body. Itssimple design and great price are sure to win approval! Quick Release Harness. Op/Tech USA Elastic Bino/Cam. Made of rugged shock cord that won't break down. 803 Ave H East, Suite 311. Arlington, TX, 76011. The binoculars are automatically drawn back into the right carrying position when not in use. The Neoprene material is soft, particularly comfortable on bare skin, and the belt can be adjusted to any suitable length. Barska Binocular Harness Specifications: - Fits: Most Binoculars - Color: Black. 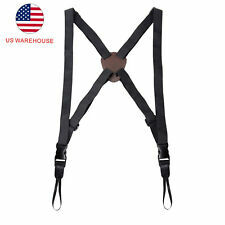 Adjustable Shoulder Harness Strap Sling Belt Binoculars Camera Rangefinders+NO.